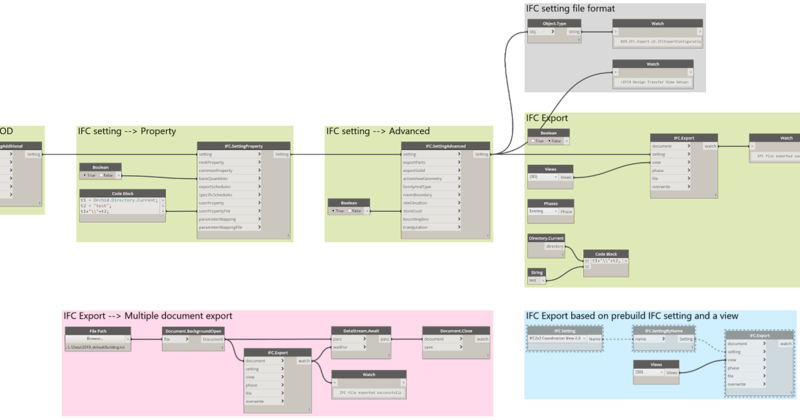 i want to Export my Revit file as an ifc file by Dynamo. I found this Code and it works. But i Need my own propertySet, but it is not part of the revit Export ifc function. Is there a possibility to solve this? doesn’t work. Or do i have do Input the filepath in an other way? You can mark a post as solution. I will answer your question but please start a new topic. The original post about User Defined Property Sets was already answered. Your query is about internal Revit Property Sets. I found the answer. But, I will open the topic for other viewers in case they need it.